Hebridean boules on the machair of Jura. 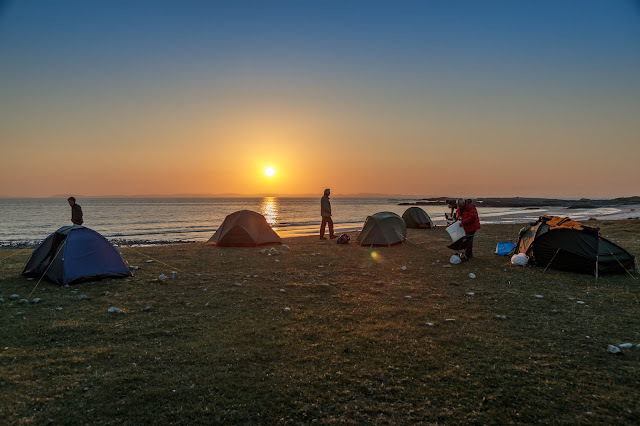 We got our camp set up on Shian Bay on the west coast of Jura in plenty of time before darkness. In the distance, you can just see Oronsay and Colonsay where we had camped the previous night. 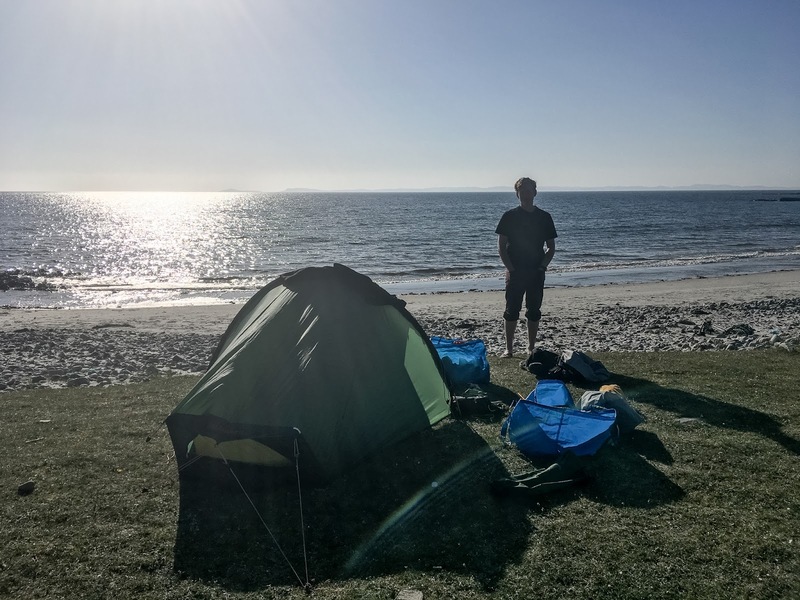 We swam in the sea (cold) or the river (warm) behind the machair to freshen up after the long crossing. We had plenty of time to scour the beach for driftwood of which there was an abundance. 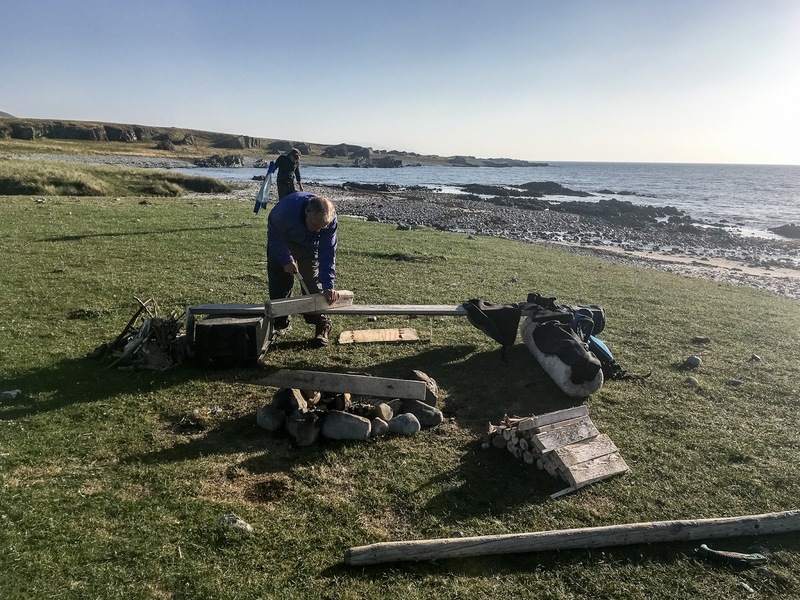 There was a solitary fire ring on the huge expanse of machair backing the bay. 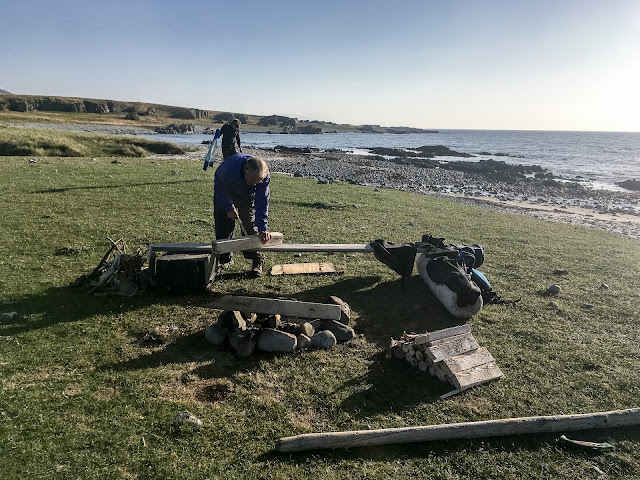 We do not normally have fires on the machair but there was a pre-existing fire ring with some large logs and planks arranged as seating. As the damage had already been done (apparently it was built by a recent party organised by the estate owners) we decided, on this occasion, to use the local facilities. We were careful not to move the stones in case the damage got larger. 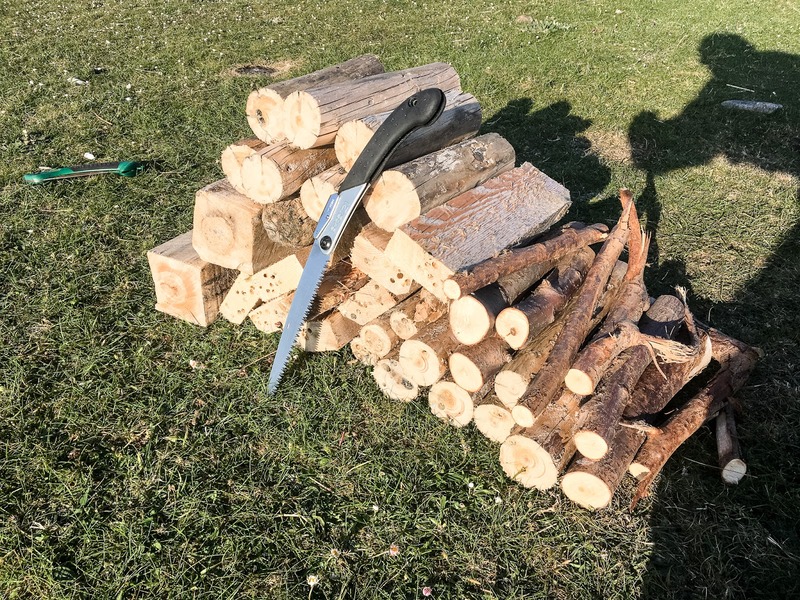 ...recreation time! 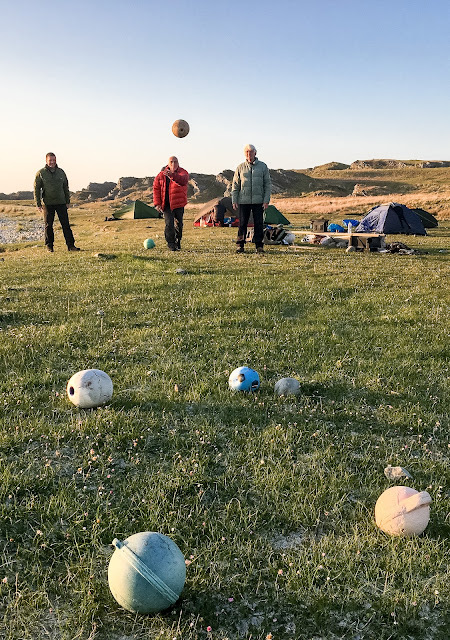 We gathered some fishing floats from the beach and started our game of Hebridean boules. As you see, we are quite good at it! The sun setting slowly into the haze over Colonsay to the west finally brought the games to a close.